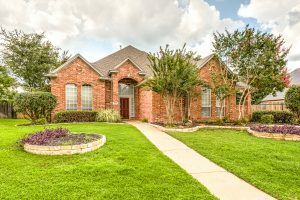 First steps when wanting to sell your home. I would definitely recommend to make Sure you have the right mindset going in. Prepare self mentally even emotionally though you know you want to sell it maybe need to sell it or whatever the situation is preparing yourself mentally and emotionally depending on the person helps throughout the process. Some may have strong ties to the home and maybe their first home and maybe the home they had their first baby in or maybe this was a home that I loved one passed away in. We all have certain things in life that celebrate memories and sometimes when I gets real or emotions can play with our mind. That might sound funny to some and make you questioning what is the right mindset I’m selling my house what else is there to think about. For some people they thought of an idea is exciting and new but once it comes into action it may become overwhelming and scary. Believe me all them feelings are natural. Your agent will most likely pick up on those or if you feel you need to stress that Mark what them know that it is overwhelming. Always know that the agent has your best interest in mind. As an agent I know I am very sensitive and can pick up on my clients emotional attachments or hesitations. There are many different personalities and so knowing how to adjust to each is a strong actually. Buying and selling real estate is always a new and exciting adventure. Like I said though it can be overwhelming to a few. I’m sure some of you that are reading this can think about the first time you purchased your home or even purchased a car or heck even purchased a large ticket item and while you’re standing out the checkout line are heading over cash or signing your life away you thought what am I doing. It’s OK you’re just an an emotional panic state. It is normal. Why I say that is I just want to touch base on a few experiences. I know you can’t make everyone happy, but do you want to sell your home? You need to adjust it and make it neutral and natural as possible even though it is your home you want them to feel comfortable and visualize any changes they could make without feeling overwhelmed by any one color or particular objects. Also a big one I have seen is having intimidating pets inside your Home during showings. I know they are yours and it is you’re home but if your potential buyers do not feel comfortable in that atmosphere then they will be turned off immediately. You may question that sentence, but time and time again we have seen people become stubborn and offensive about pets and objects in “their” Homes. You want to be open to your agents suggestions because they have your best interest in wanting to help sell your home. Another strong suggestion is when you do get a showing scheduled on your home. Try to schedule certain errands or activities during that time frame please refrain yourself in being anxious or wanting to set up a spying stake out a cross the street and watch it can be very intimidating and just straight out creepy and uncomfortable for your potential buyers to know that you are watching them it will also make your potential buyers feel rushed and nobody wants to feel rushed in making one of the biggest purchases and investments in their life. Also be open to know that you have decided to move and you wanted to put your house on the market and let a professional help you sell it. So some rules change when it comes to that of allowing people to come to your home. If you want to keep your carpets and floor still clean between showings leave a note or have the agent put in private notes to remove shoes upon entrance of the house also you can get some plastic from flooring places that you can line the walkways through. There can be a lot of feeling in the process of selling your home. You have built a lot of memories with yourself and loved ones. Remember your mindset and know that you will continue on building more memories. If this is going to be emotional for you it is always good to let your agent know your feelings and voice your emotional connection to your home. This is still your home yes, There will be Buyers that will absolutely love your home or hate it just don’t take it to heart. Also when you are selling your home put yourself back in a buyer shoes and remember how you felt when you were shopping for the home. Also remember that Buyers always want to feel like they are getting a good deal as well as you did when you first purchased the home. How did you feel when making an offer on that home you’re in? Also now days we are seeing more and more video surveillance inside homes as well as audio recording. 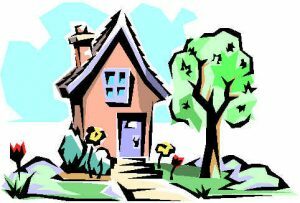 If you know of your home that your listing has those you want to note them in the agents private notes. Also you want to make your sellers aware that people will be commenting on certain aspects of your home throughout the walk-through don’t get defensive just take it in I know that said someone’s opinion and if it seems to be repeating from multiple potential buyers that are viewing your home maybe there something that can be changed as long as you keep that right mindset in. I know I keep saying mindset mindset but believe me if you do per pair yourself going in to the process your reaction through the whole transaction will be calmer also with the assistant of your agent it will be a breeze going through this process. Remember with your agent having a good open communication level in the beginning will set things off on the right foot. Happy mindset! Congratulations on your mindset to buy or sell a home.